80% Coconut Water sweetened with real coconut pieces inside. 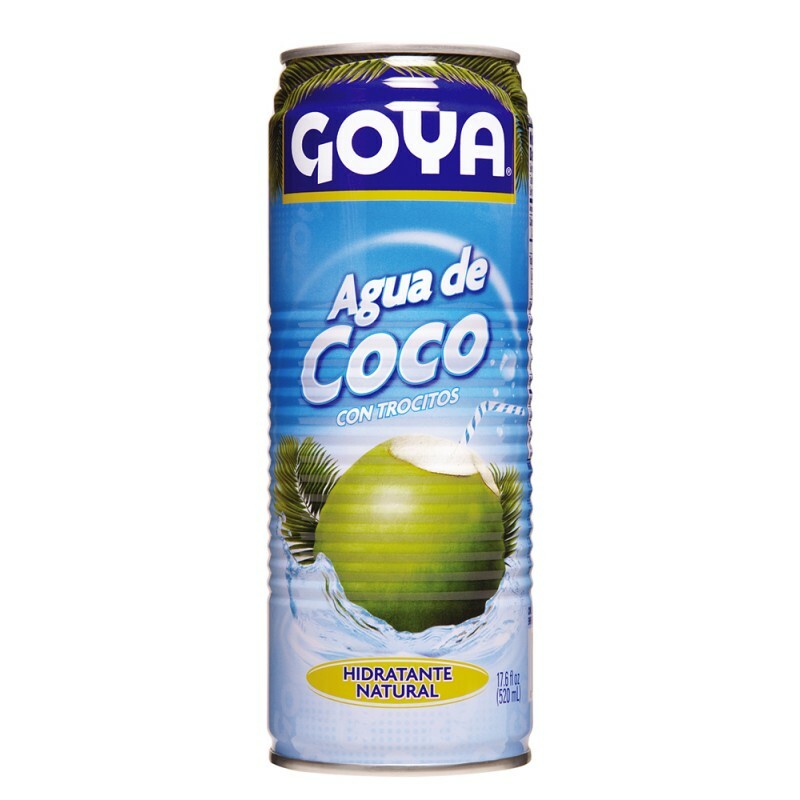 Made from young green coconuts, Goya's Coconut Water cools your taste buds with the pure essence of the tropics. Our Coconut water is 100% natural, so it's the healthy choice for a light tropical beverage. And with Potassium and vitamins in every can, Goya Coconut Water is as great for your health as it is for your thirst. This refreshing beverage comes in two delicious varieties: unsweetened and sweetened with real coconut pieces inside.